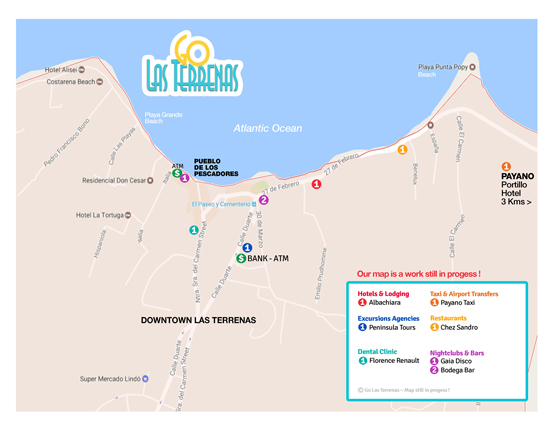 Las Terrenas Map - Map of Las Terrenas Town Dominican Republic. Find everything in the town of Las Terrenas on this high quality color map. of 8,5 x 11 inches. Banks, Beaches, Services, Taxis and more. Click to open the large high resolution map.